DESCRIPTION Fully renovated 4 Bedroom bungalow located close to hospital, school and downtown. Oversized 25 x 25 detached garage is ideal for all hobbyists. Inside, you will find a completely renovated main floor. The kitchen features new cabinets, new appliances and offers good cabinet and counter space. The living room centers a gas fireplace and leads into a large dining room. Renovated master bedroom has a wonderful ensuite and good closet space. Additional bedroom and new 4pc main bath finishes off the main level. The developed basement has 2 more bedrooms and huge family room and additional bathroom. Relax in the sun-room and enjoy the wonderful landscaping. Call today to book your private showing and "Start Packing". 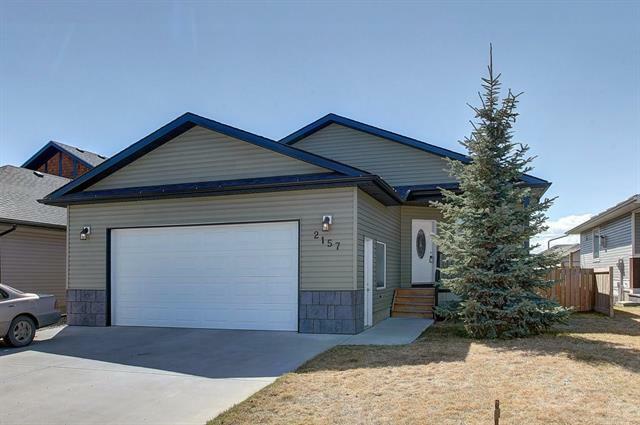 Home for sale at 910 4 St High River, Alberts T1V 1A7. Description: The home at 910 4 St High River, Alberta T1V 1A7 with the MLS® Number C4224303 is currently listed at $374,000.